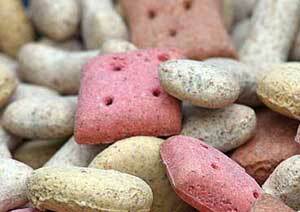 At Smoochie Poochies of Windsor and Lakeshore, Obedience Training isn’t just for dogs. A dog who knows boundaries and rules is a happy dog, but you’ll be happier, too. If your dog lacks manners or behaves spontaneously, they could be putting themselves, other dogs, and their human friends at risk. Obedience Training keeps everyone happy. A well-behaved dog means you won’t be frustrated with constant discipline when your favorite shoes are used as a chew toy. A properly trained pet also means not placing human friends at risk from nips or bites, and keeps your dog safe from dangerous situations like running into traffic. 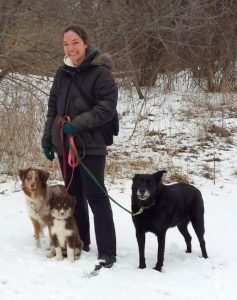 Leslie Phoenix, our Smoochie Poochie dog trainer, is a professional who will train your dog as well as showing you the proper discipline techniques to continue a satisfying relationship with your pet. Leslie traveled to British Columbia in 2008 and completed the only government accredited professional dog trainer program in Canada. She is now a certified professional dog trainer. As well as training with clients and their dogs, she is active in the dog sport community and trains her own dogs in agility and sport scent detection. Common behavioural problems are discussed – jumping up, house training etc. All problem behaviour can be addressed. 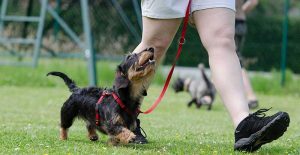 Obedience commands can also be taught.